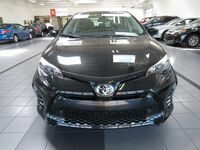 Introducing the new 2019 Toyota Corolla! This sleek sedan receives a variety of updates for the model year, including the addition of Apple CarPlay and Amazon Alexa. At its heart is a powerful 132-hp, 1.8-liter four-cylinder engine with a 140-hp version for the LE Eco model. 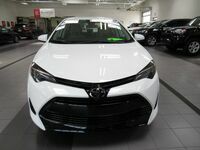 No matter which engine is under the hood, the 2019 Toyota Corolla delivers a dynamic driving experience and plenty of personality. 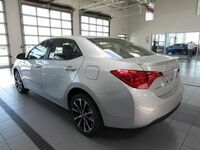 But how does the new Corolla compare to the new 2019 Honda Civic and which sedan is a better overall value? 41.4 cu.ft. Rear Legroom 37.4 cu.ft. 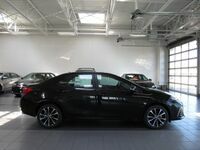 Unlike the Corolla, the 2019 Honda Civic is available in coupe and hatchback body styles. The Civic’s sharp handling and many premium features make it fun to drive, no matter where your adventures take you. 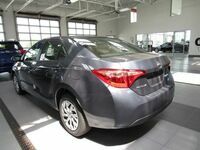 However, the 2019 Honda Civic can’t compete with the 2019 Toyota Corolla’s spacious cabin, strong fuel economy ratings and generous array of high-tech features. 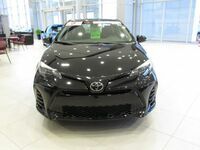 All 2019 Toyota Corolla models are also standard with a large selection of safety technologies, including a rearview camera, forward collision warning with automatic emergency braking, pedestrian detection, lane departure warning with steering assist and automatic high beams. 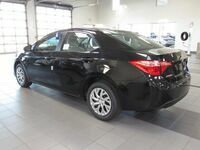 Best of all, the 2019 Toyota Corolla’s large cabin is comfortable thanks to plush seats, Bluetooth, a six-speaker audio system with a CD player and much more. 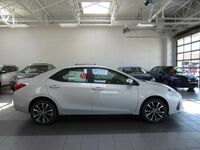 We invite you to see the 2019 Toyota Corolla for yourself with a test drive at Le Mieux Toyota! 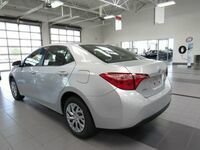 Our award-winning team of experts can answer any questions you might have about the new sedan. Stop by and see us today!